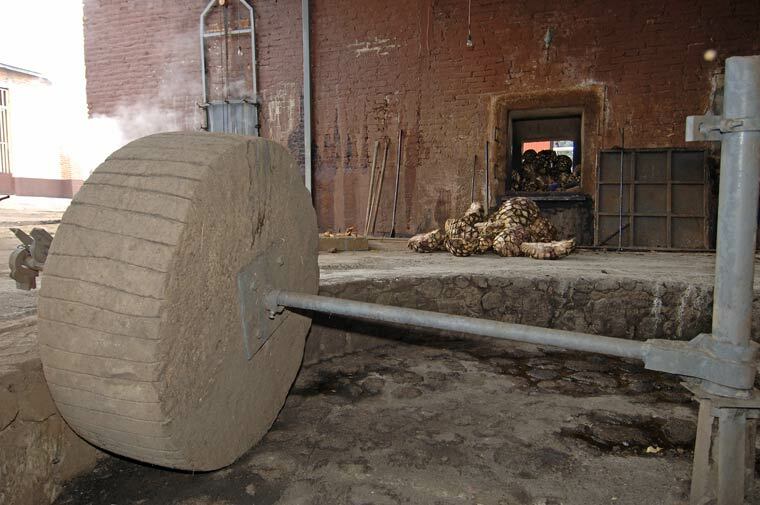 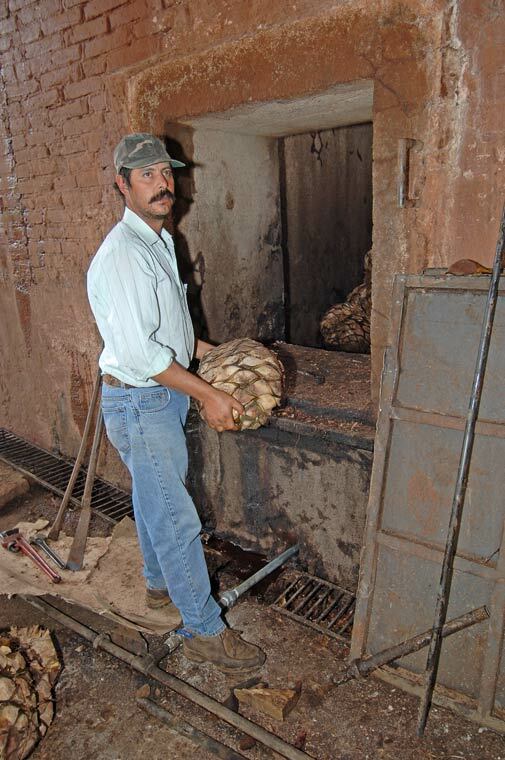 Workers move cooked agave hearts from oven. 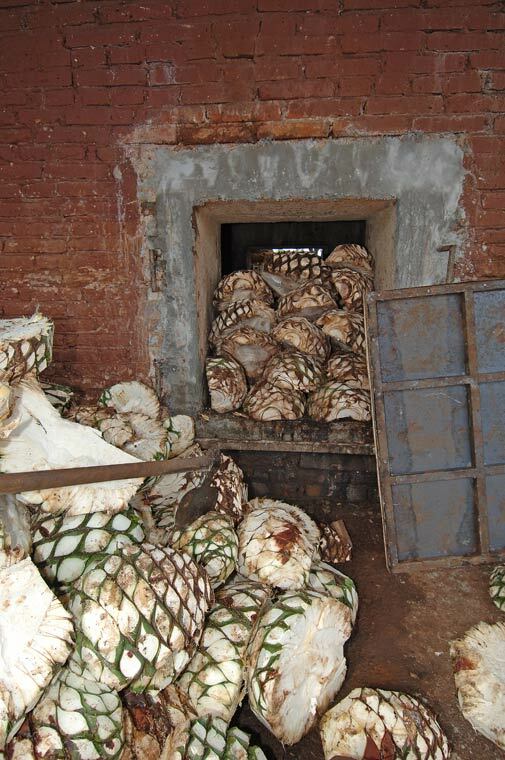 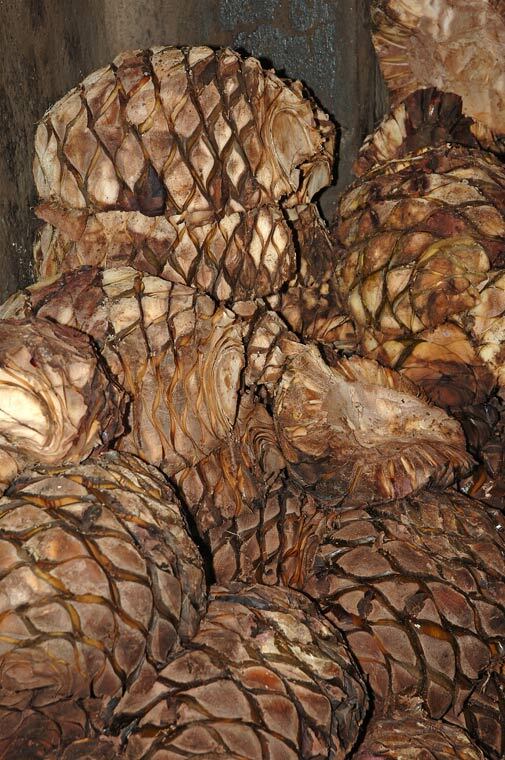 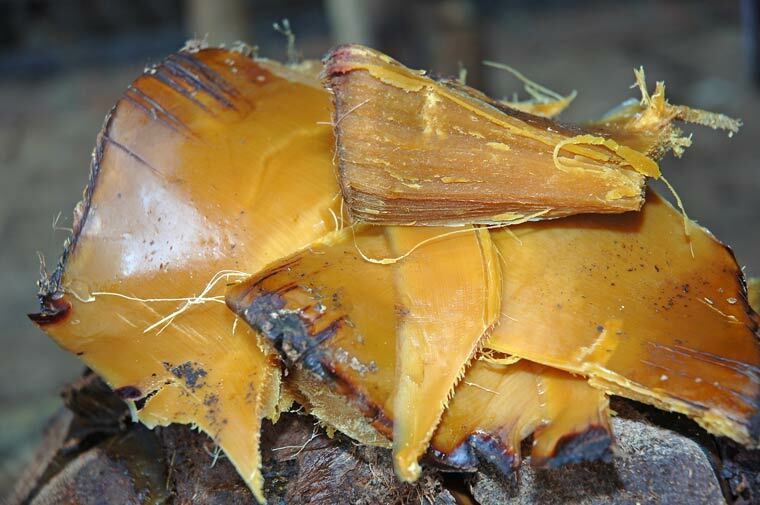 Raw agave hearts, cut in half, are loaded into ovens. 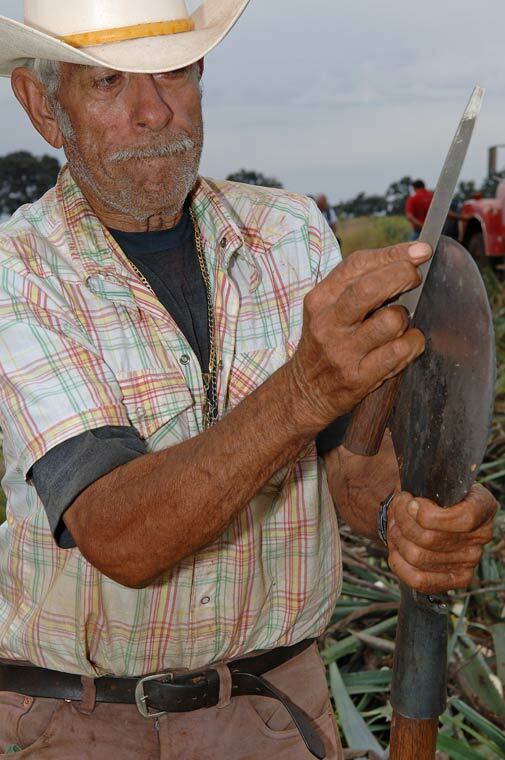 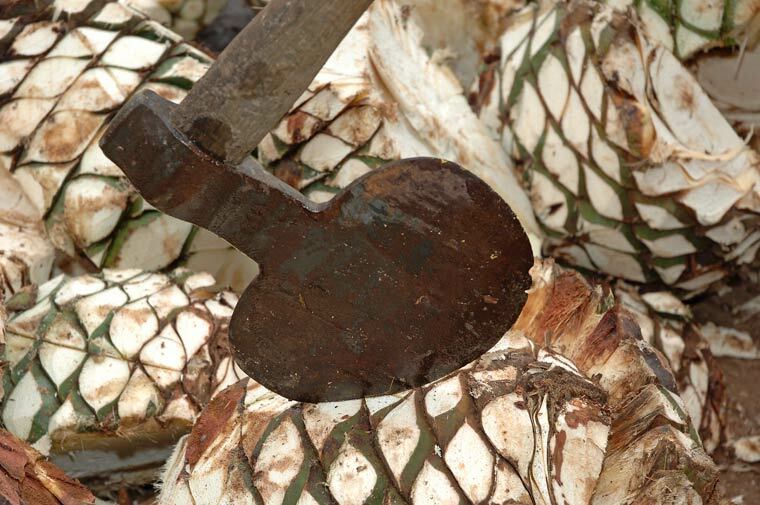 A jimador sharpens his coa cut agave plants. 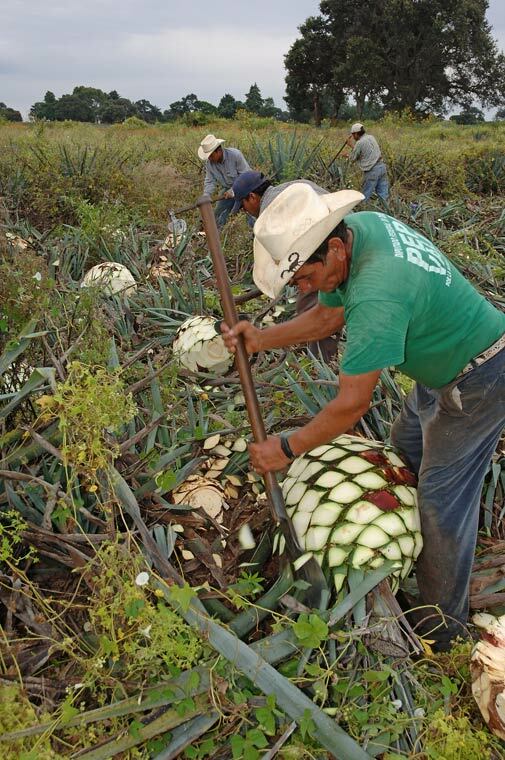 Jimadors work in the fields trimming the leaves (pencas) from agave plants. 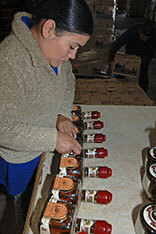 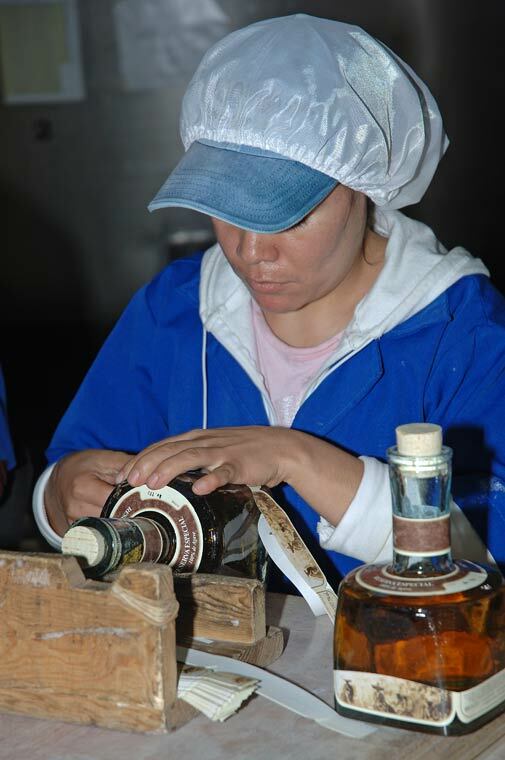 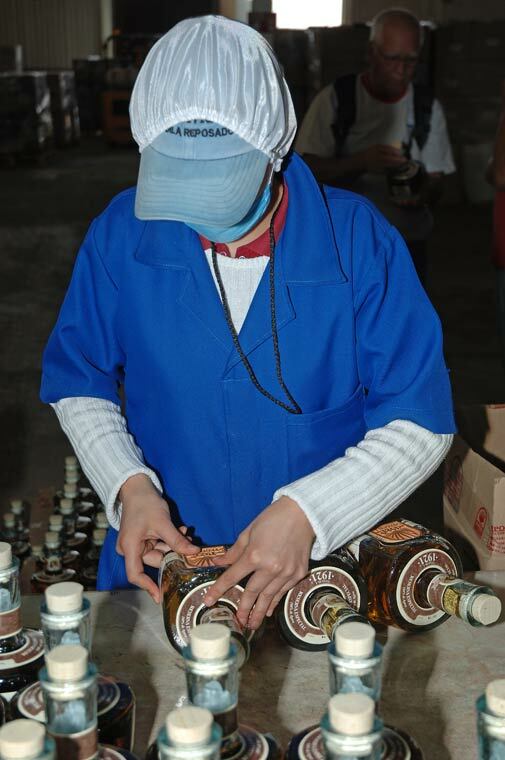 Bottling, labeling and packing is done by hand at the distillery in Los Altos. 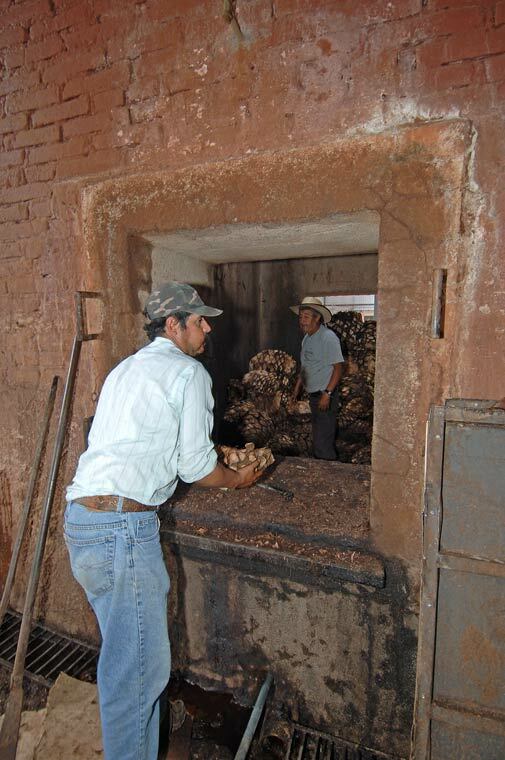 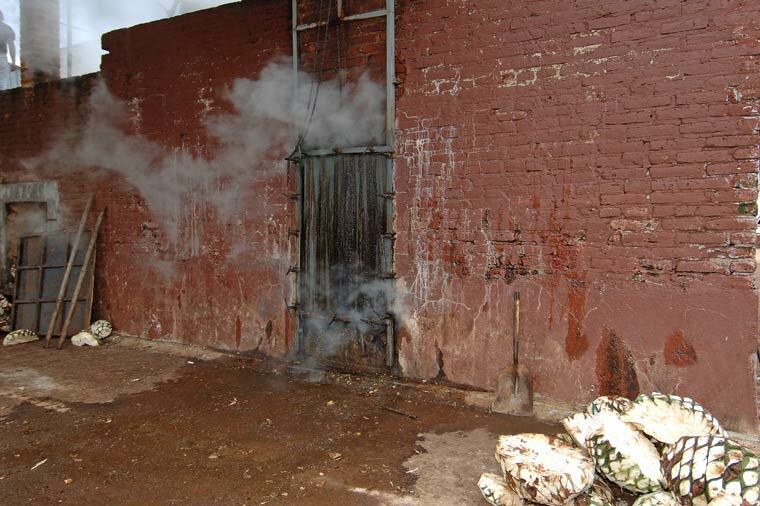 An old tahona, no longer used, still remains in the processing area. 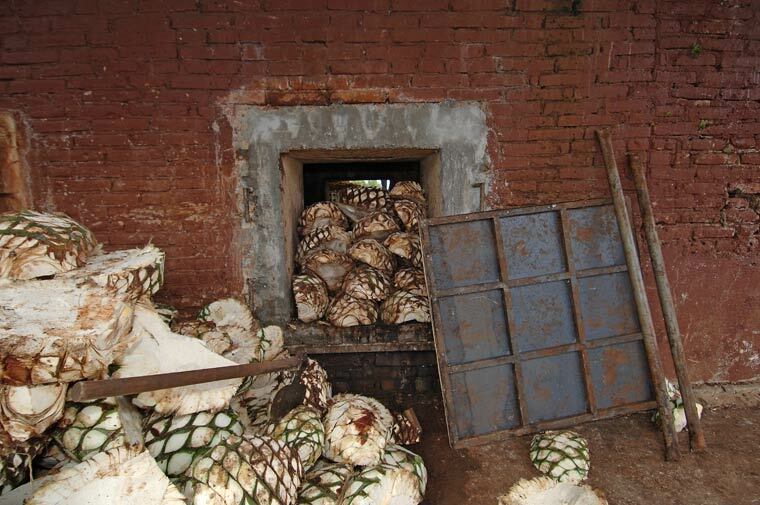 Raw agave hearts sit to the side of a working adobe oven as others cook. 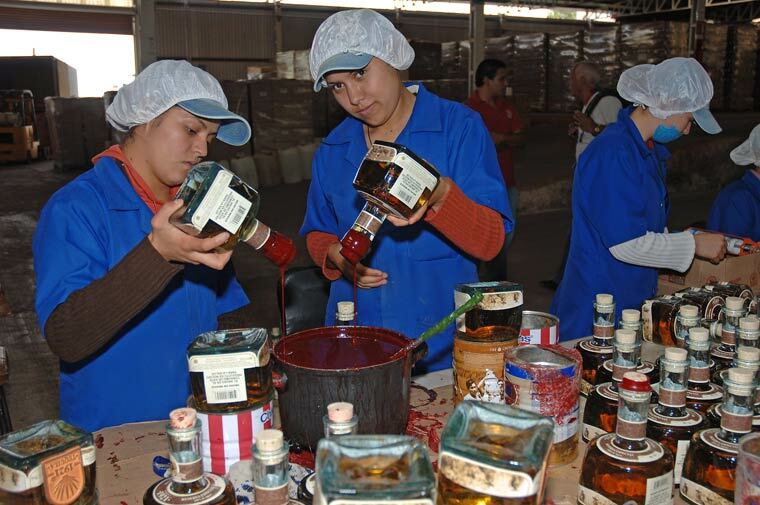 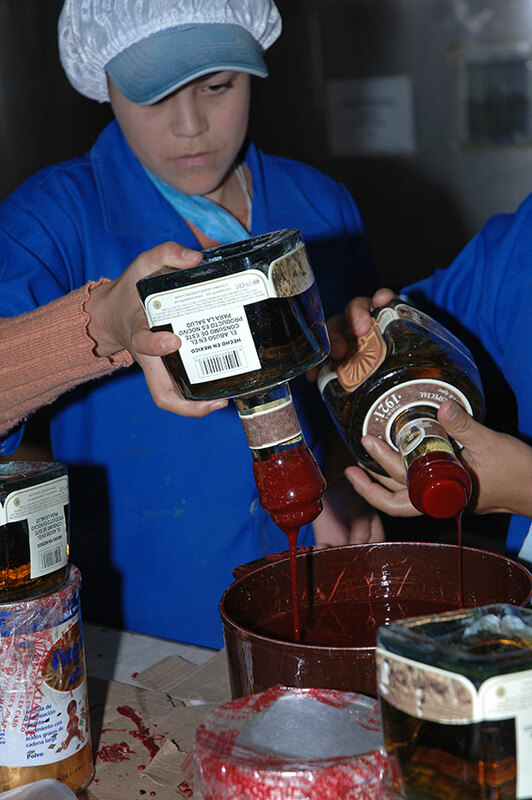 Bottles of 1921 Tequila are dipped, by hand, into hot wax to ensure a well sealed bottle. 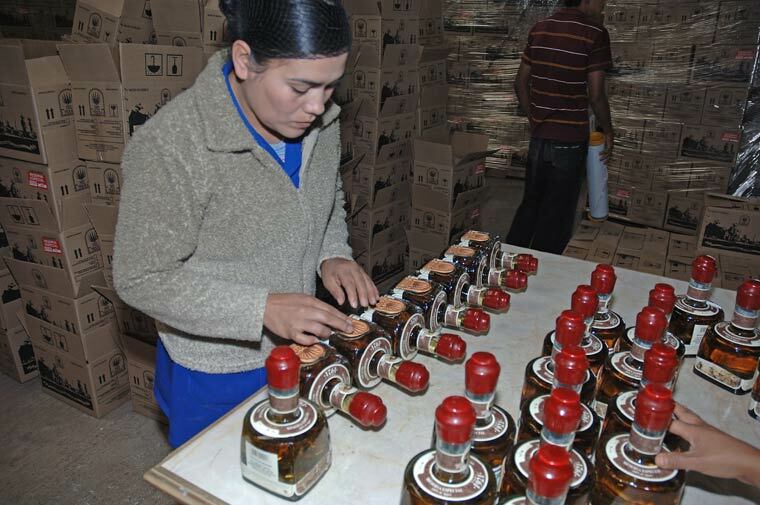 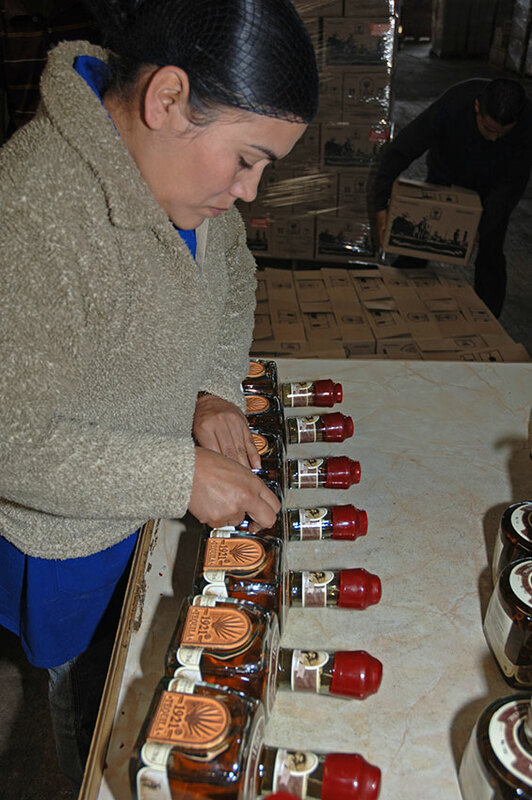 The ceramic logo is applied to bottles of 1921 Tequila by hand.